Problems are normal, but you must deal with reoccurring issues, late finds. We've identified that late finds are a massive problem with aircraft maintenance check projects. We also came up with six ways to help you resolve it. Late finds are a colossal headache. It throws off schedules; they incur 2-5x the processing costs. We conducted a small poll of our Dedicated Account Clients. The biggest reoccurring issue is late finds during maintenance checks or ad-hoc material for you fancier folk. Whether its corrosion, spare parts procurement, scarcity, OEM bottlenecks, or common component repair problems. More often than not, enough time is allocated to complete your aircraft maintenance check on time. Yet, late finds put pressure on your entire maintenance check system. They cause complexity, stress, and unplanned activities. And the pesky late find problem adds icing on the aircraft cake. Aircraft maintenance late finds are an issue worth resolving to free time and cost. After we conducted our poll, we collaborated with internal team members and clients (both MROs and operators) to determine a few key ways to help overcome the late find issue. As you read these solutions, it’s worth thinking about how you can add them into your regular, daily routine, both as a purchasing and maintenance team. Solution 1: Perform engine and operational checks at the very beginning of your aircraft inspection. If you’re on the supply chain team, be sure to connect with the maintenance professionals for any material that is needed in inventory to make this project a success. Do this before and while the maintenance team is performing their operational checks. Solution 2: Open the aircraft and perform your visual inspection and lubricants. As a supply chain team, immediately get notified of any damage or issues that were found. I'm sure there's a ton of paperwork involved with this but get notified before all the clunky admin stuff needs get done. This helps you better prepare. Then, determine if you have enough lubricant for the project. Do you have enough in stock? Will you need to replenish inventory? Solution 3: Squawks get worked on only after the inspection is completed. Once the squawks are identified, the maintenance team will begin fixing them. It’s at this time you should know of the possible material that's needed. Plan for the material ahead of an urgent crisis. Don’t wait until the last minute. If you do, it'll cost your operation more money than is necessary. Solution 4: Inspect the attached hardware and mating surface immediately after components are removed. 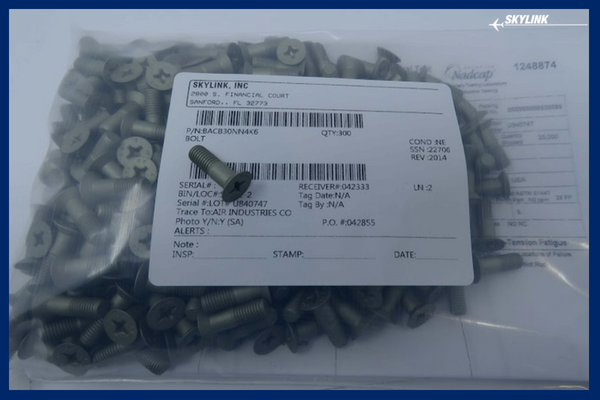 As the components get removed, this is now the time you should know where you’ll be sending the aircraft parts for repair. Getting average repair costs and turn-around-times now causes a minimum of a 2 - 3 day delay. This has to be done prior to removal. Solution 5: Focus on one specific task at a time to increase productivity and decrease errors. Solution 6: Don’t neglect your trusted material partners. It’s best when they're prepared to assist you on your material needs. Your material partners can only do so much when you're in need of 5 gallons of grease, an APU exchange, a CSD, 10 bolts, 1,000 rivets, and 25 o-rings. If you’ve been in touch with them as your project got started, they’re much more prepared to assist you, properly. The impact of this is less time spent sourcing and chasing, but also a lot less processing and shipping costs. 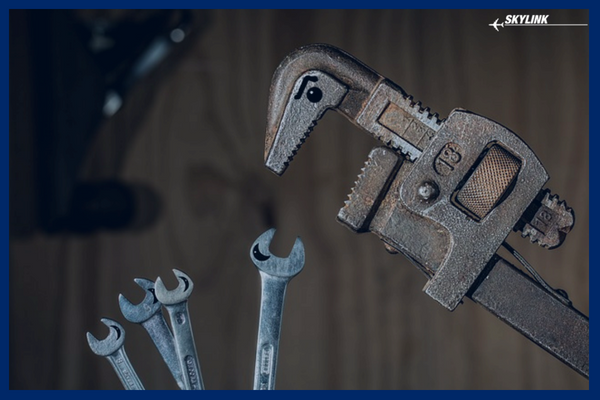 I’m sure you already have a sequence of standard procedures that need to be completed for your aircraft maintenance check. But preparing for late finds and having a contingency plan is necessary for your standard procedures. How you handle late finds should not be neglected. As you know, nothing ever goes 100% according to plan. If you prepare for what issues could arise before they arise, your project life will go a lot smoother when dealing with them.